 Open to all female golfers, new or not so new! St Clair Golf Course is a championship 18 hole course with world class sea views as you play. Our signature hole is number 15 and a large signpost right on the coastline is a popular photo opportunity as this signpost is recognised by many around the world. St Clair Golf Course is located 10 mins from the centre of Dunedin City and is just up the hill from the fabulous St Clair Beach and Esplanade area. St Clair Golf Club has been established since 1905 and enjoys a heritage reputation as one of New Zealands first golf courses with one of the finest golfing layouts. In this current day we still have the honour of hosting numerous New Zealand golf events. Our club has over 600 members and we are always keen to embrace new golfing enthusiasts both at Junior and at Adult level. Our 18 hole course is practically designed to be able to do a nicely balanced 9 hole round off either Tee 1 or Tee 10 if you are keen to do only 9 holes on any given outing. We are an easy playing course in terms of terrain with gentle slopes and spectacular views across the ocean. It can be breezy at times but the views make up for this and even though we are situated 10 minutes from the CBD you are golfing in a very natural environment. We have Wood Pigeons and a lot of other birdlife encouraged by our native bush areas and our large Pine Trees which are an impressive visual feature of our course. We have just hosted the 2018 Masters Games on this course and scheduled also this summer are the South Island Stroke Play Championships so its a course that can be played by all levels of player. We have excellent facilities for both women and men. Included in our operation is a driving range, a putting green, practice nets, cart hire, golf clubs and trundler hire, coaching advice, and a large carpark for your convenience. We have a Pro Shop and resident Professional Patrick Moore for all your golfing requirements including clothing, shoes, golf clubs, bags, on course snacks, and professional coaching services.